An hour and a half of stellar British stand-up comedy from three comedians resident in the city plus Ollie Horn, our specially flown in headliner! Ollie was regular host of the world-famous Oxford Revue’s comedy night whilst at University and has since headlined shows across Asia and in his native UK as well as supporting such luminaries as Phil Wang, Josie Long, Stuart Goldsmith and Phil Nichol. 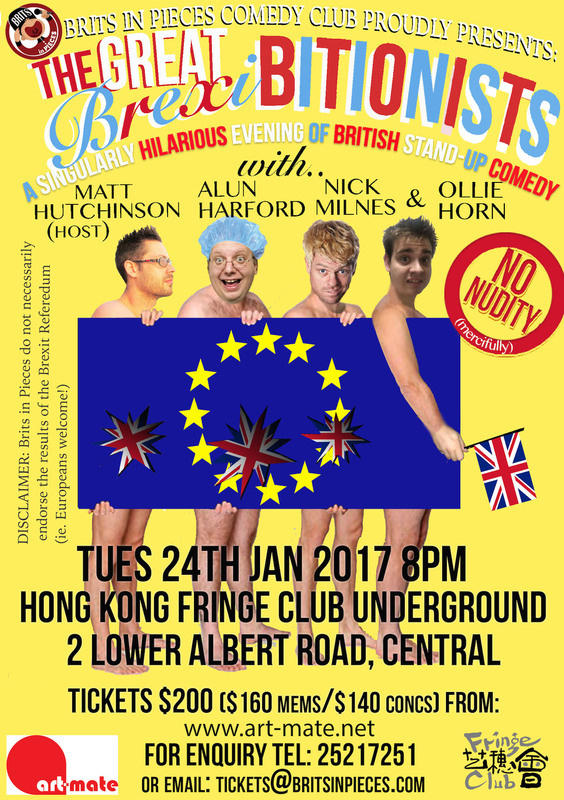 Matt Hutchinson is our host, regular compère sans compare at Morrisson’s Bar and Café, Sheung Wan and Hong Kong entrant in 2017’s Bangkok International Comedy Competition. 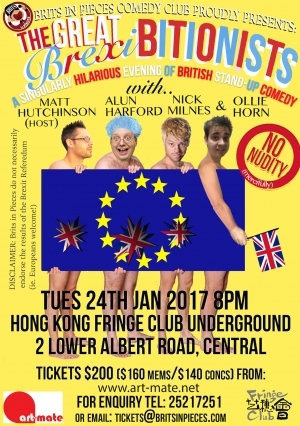 Alun Harford is a surreal observationlist and takeout comedy club regular based right here in Hong Kong while Nick Milnes is a two time finalist at Hong Kong’s prestigious International Comedy Competition and hosted 2015’s Magner’s International Comedy Festival in the city as well as making the finals of that festival’s own talent contest.